EW got their hands on the first images of Quentin Tarantino’s ‘Django Unchained’. The film stars Jamie Foxx as Django, an escaped slave who goes to rescue his wife (Kerry Washington) from sadistic plantation owner Calvin Candie (Leonardo DiCaprio) by teaming up with bounty hunter Dr. King Schultz (Christoph Waltz). The story is set in the pre-Civil War south but has the style of a spaghetti western and will no doubt be Tarantino’s great homage to the genre. Hit the jump to check out Waltz and Foxx in action and DiCaprio getting in some hammer time. Our first impression is that the film is a lot more colourful than we expected but the costume design looks sensational. 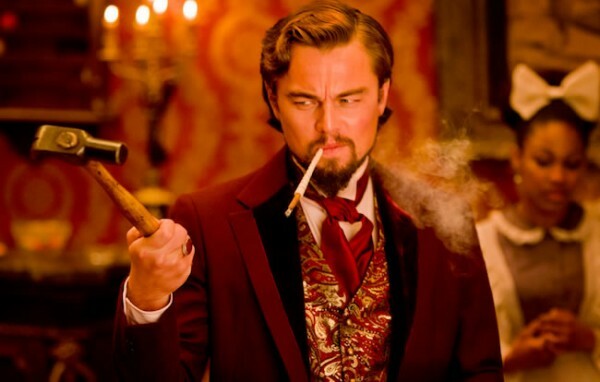 Can’t wait to see DiCaprio in bad guy mode and the amount of facial hair in play is crazy. 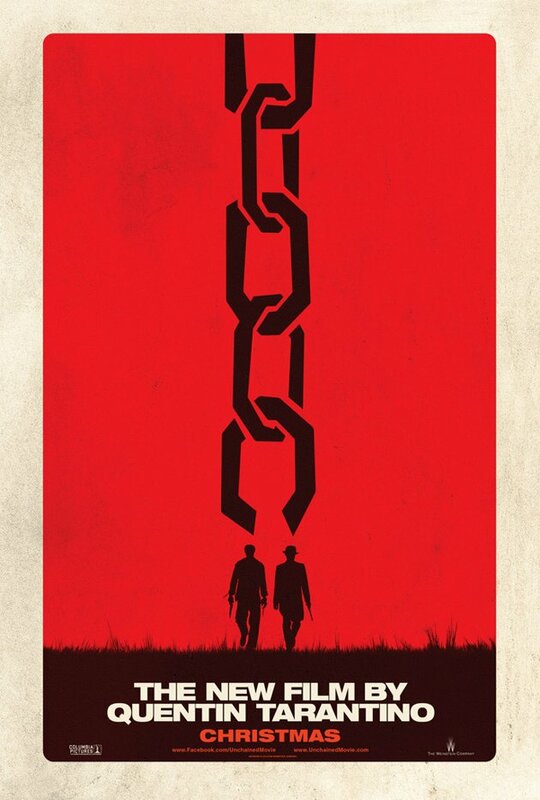 Besides ‘The Hobbit’, ‘Django Unchained’ is one of the event beard films of the year. Head over to EW and Collider for the cast talking about the film. Fully aware that I’m in the minority, I believe Tarantino still has so much to prove. The release of Django can’t come soon enough and it seems like the ideal project on which he can fulfill his most potent talents. The Southern plantation period style will hopefully be conducive to a more mannered and restrained Tarantino. So many times he has found the sublime in rich hommage only to shatter it in a moment of childish iconoclasm. The kind of humor and panache that he gave us in Pulp and Jackie are the missing link. Those two works have a type of formal elegance that informs the entire experience. Kill Bill, however, is full of those moments where beauty is collapsed by his own radical twists. 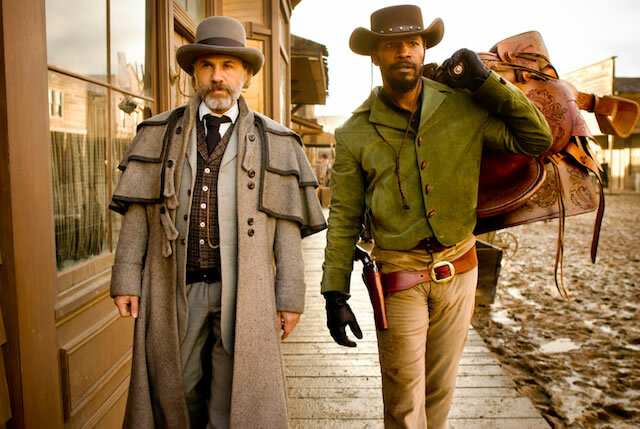 I have every hope that Django validates Tarantino for me. He is an extraordinarily gifted filmmaker and he might very well deserve to join the Pantheon someday. On a somewhat related note, DiCaprio puts on one fine goatee. Love the teaser posters … Excited about the film.